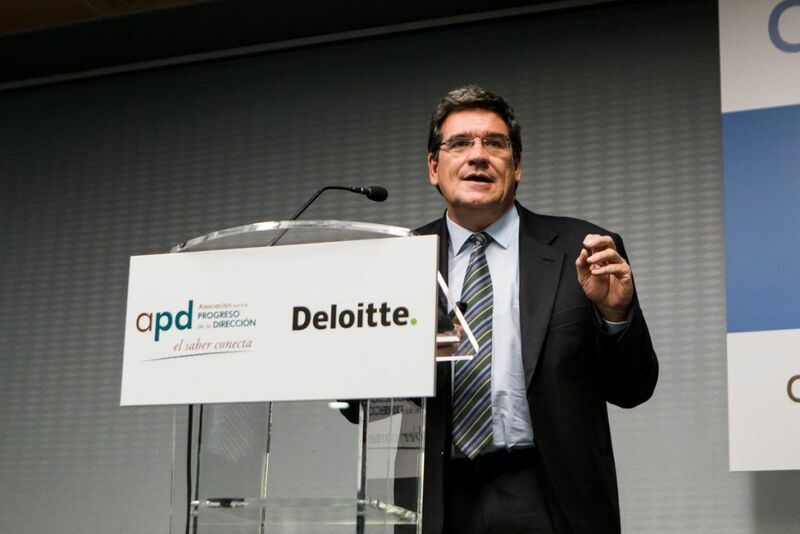 On Wednesday, the President of the Independent Authority of Spanish Fiscal Responsibility (AIReF), José Luis Escrivá, participated in a conference on the 2017 General State Budgets organized by the Association for Management Progress (APD) together with Deloitte, held at the Hotel Meliá Castilla in Madrid. José Luis Escrivá analysed financial sustainability and compliance with deficit objectives, presenting the macroeconomic and fiscal scenario as well as fiscal policy challenges. The AIReF president affirmed in his speech that “the 2017 budget stability target is very demanding, although it could be reached if certain conditions are fulfilled”. He also noted that it is essential that sustainability of public finances becomes one of the anchors of economic policy. At the same time, he asserted that despite the economic recovery and the reduction of interest rates, there is still a structural deficit of about 2% GDP to be addressed. Access José Luis Escrivá’s presentation in Spanish.